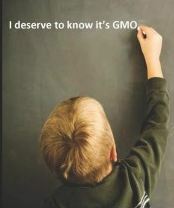 Many of you already know how I feel about Monsanto and their products. As I discussed on the radio show last week - if you have any of this stock in your portfolio, it should be sold. Here's a little more fuel for the fire. The World According to Monsanto documents the company's history. Monsanto has used misleading reports, pressure tactics, collusion and corruption to peddle their toxic products. Now, they are racing to further genetically engineer (and patent) the world's food supply, which threatens our health, environment, and economy. Combining secret documents with first-hand accounts by victims, scientists, and politicians, this widely praised film exposes why Monsanto has become the world's poster child for malignant corporate influence in government and technology. If you have questions on this newsletter and would like to discuss this documentary or any other topic, tune in this Sunday from 8am - 11am CT to the Dirt Doctor Radio Show. Phone Number 1-866-444-3478. Listen on the internet or click here to find a station in your area.